Today I was on a mission to buy some new skin care products because lately I have let my skin care slip. All of the products featured in this post were purchased from Cara Pharmacy. I have not used a toner in a very long time so my skin care is basically removing my make up then moisturising. This toner claims to “Soothe normal to dry skin” and “leave your skin perfectly cleaned”. 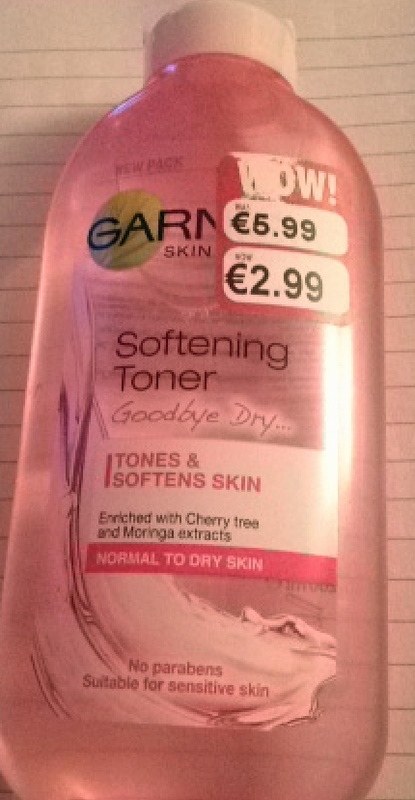 This product was reduced from €5.99 to €2.99 which is half price , there was also a further 60c off this product. 2. Garnier Express 2 in 1 make up remover. Eye make up remover is an essential for every girl. It is the best method for your skin , make up remover wipes tend to strip your skin of all its natural oils and leave the skin very dull and dry. 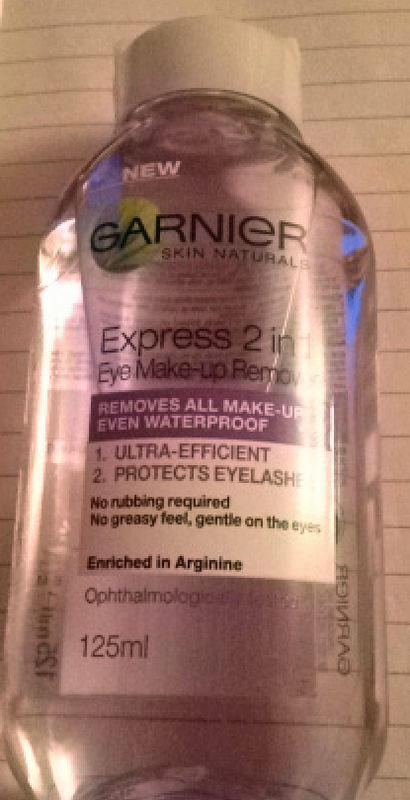 This eye make up remover claims to remove all eye make up even water proof it also claims there is a “non greasy feel” which is a massive pro because the last Garnier product I used I hated for so many reasons, it made my skin feel greasy and horrible so I hope this one is a lot better. 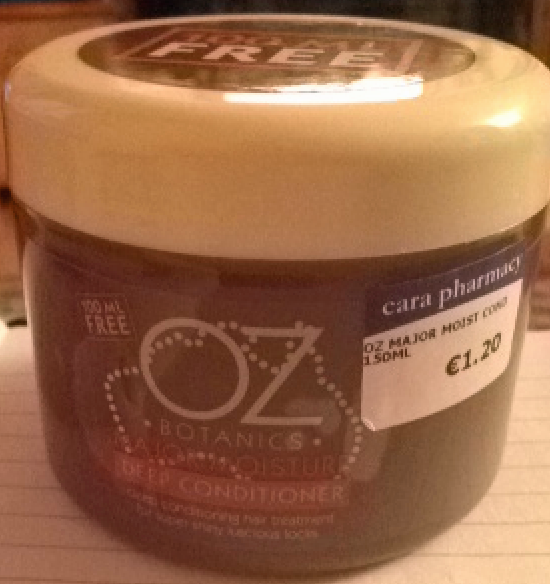 This product was reduced from €4.99 to €2.65, there was also a further 53c off. 3. L’Oreal skin perfection cleansing and perfecting milk. I have already used the Micellar Water from the Skin Perfection range by L’Oreal and loved it so instead of re-purchasing it I decided I would try another product from the same range. This cleanser claims to “remove make up and impurities” it also “Reveals hydrated and silky smooth skin” .This product was reduced from €6.80 to €3.35 and again there was a further 67c off this. 4. OZ Botanic’s Deep Conditioning Hair Treatment. This is not a skin care product but I thought I would include it anyway. I am always looking for cheap yet good quality hair treatments. This hair treatment claims to “manage dry and damaged hair by smoothing split ends and roughened cuticles”. This product was €1.20. I have already included this product in my weekly favourites in February so I wont go into too much detail. If you have not tried this product you need to pick one up , it smells amazing and leaves my skin baby smooth , it is also €1 which is an amazing price for a skin care product. I hope you liked this post , I will include links where possible below. If you have tried any of the products let me know what you thought of them and also let me know if you would recommend any skin care products I should try. Thank you for reading :).